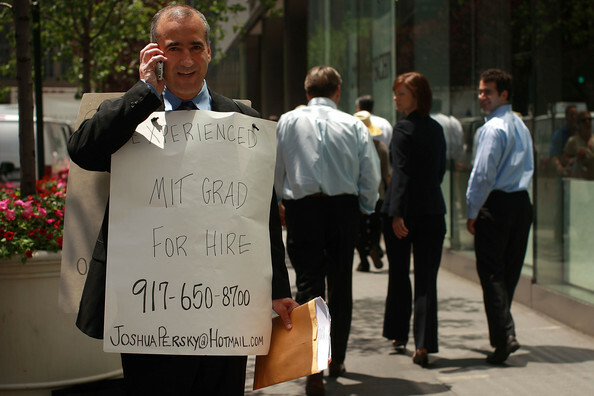 Joshua Persky, an unemployed financial engineer, stands in front of the Charles Schwab building at 50th Street and Park Avenue with a sign proclaiming "Experienced MIT Graduate for Hire" June 24, 2008 in New York City. Persky, who lost his job in the volatile banking industry six months ago, thought standing on a corner passing out resumes would be a novel approach over networking and writing emails at home. Persky is married and supports five children.